Ten superb new stories by one of our most beloved and admired writers—the winner of the 2009 Man Booker International Prize. In the first story a young wife and mother, suffering from the unbearable pain of losing her three children, gains solace from a most surprising source. In another, a young woman, in the aftermath of an unusual and humiliating seduction, reacts in a clever if less-than-admirable fashion. Other tales uncover the “deep-holes” in a marriage, the unsuspected cruelty of children, and, in the long title story, the yearnings of a nineteenth-century female mathematician. 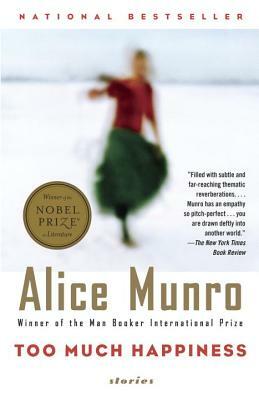 Alice Munro grew up in Wingham, Ontario, and attended the University of Western Ontario. She has published thirteen collections of stories as well as a novel, Lives of Girls and Women, and two volumes of Selected Stories. During her distinguished career she has been the recipient of many awards and prizes, including three of Canada’s Governor General’s Literary Awards and two of its Giller Prizes, the Rea Award for the Short Story, the Lannan Literary Award, England’s W. H. Smith Book Award, the National Book Critics Circle Award, and the Man Booker International Prize. In 2013 she was awarded the Nobel Prize for Literature. Her stories have appeared in The New Yorker, The Atlantic Monthly, The Paris Review, Granta, and other publications, and her collections have been translated into thirteen languages. She lives in Clinton, Ontario, near Lake Huron.